As a French native with a Moroccan background who has worked with multicultural teams in London, Amsterdam, Hong Kong, Singapore and now Shanghai, I’ve seen first-hand how company culture can bring diverse people together. Especially in Asia, weaving together a cohesive culture can be the key to growing and strengthening business. Here are five lessons I have learned from my experience working with diverse team members in contemporary China. Today’s China is evolving in far more organic and inventive ways than many Westerners realise. A generational change is underway. In decades past, China was far more insular and less willing to invest in educating its workforce. Now, a much more flexible and capable talent pool is available. The Chinese workforce is more connected. Many of them have returned home from an education overseas, and they’re joining multicultural teams to work alongside foreign talent from around the world. These diverse and dynamic teams integrate foreign people, practices and technologies while also retaining the advantages of local insight and expertise. To foster their success, companies need to embrace change in their talent-management methods — continually seeking new ways to build team cohesion while allowing each member to contribute their unique cultural perspective toward a shared vision. The term “laoban,” Mandarin for “old boss,” characterises the authoritarian style of leadership still practiced in China’s state-owned enterprises. The laoban decides on the plan of action, and the workers execute it. If the plan is ineffective, there’s no way for workers to help correct the course. Increasingly, this style is being supplanted by more progressive, relationship-driven management practices thanks to an influx of foreign companies and a younger generation of Chinese nationals leading non-state-owned enterprises. When I first came to China, I needed to recalibrate my leadership style, providing the direction of a laoban while also empowering my team to freely contribute their opinions and solutions. Looking beyond the office walls, I studied how people from different cultures around the world interact and inspire the best in one another in everyday Chinese life. I found leaders and peers alike encouraging each other to flourish in their own identities, while still working cohesively toward a shared purpose. And I was surprised to discover many Chinese managers exhibiting a unique understanding of how cultural diversity and individual empowerment contribute to business vitality — and to nurturing the development of future Chinese leaders by Chinese leaders. In the past, Chinese employers have encouraged nationalistic sentiments and pride in working for a Chinese company. These workers may regard employment with a foreign company as potentially imposing a glass ceiling on their careers. It’s a two-way glass ceiling as foreign nationals, faced with the challenge of learning Chinese and local customs, may find it difficult to fit into locally owned businesses. Likewise, multinational corporations with a Western management style face challenges in entering the Chinese market, while Chinese companies often resist incorporating Western talent and ideas. Call it a “two-way glass wall.” These career and business barriers put a strain on Chinese and foreign companies alike as they seek to integrate Eastern and Western talent to deliver brand performance with multicultural relevance. Breaking these barriers requires a strong programme of on-site engagement — for example, structured immersion programmes in Chinese language and customs for foreign workers, and programmes on global cultures and collaborative teamwork for Chinese workers. Companies need to devote time and resources introducing people not just to their new offices, but also to multicultural ways of interacting in shared support of the brand. An effective company culture can’t be created through a top-down programmatic agenda. It must be built on individual cultural perspectives coming together to achieve collective goals. Effective talent management creates the framework and inspiration for intercultural collaboration to flourish. Some brands, such as L’Oréal, create a balance of Western management with Chinese mid-level management. Others, such as Henkel, take the opposite tack, with Chinese management and mid-level Western brand managers — often recruited from their own European offices and bringing a deep knowledge of brand standards. Whatever the management structure, it’s important to foster an internal identification of brand meaning that crosses cultural divides, engages every team member and continually creates opportunities to increase brand performance. One memorable moment came during an interview after the 100m backstroke final. Fu spoke proudly of setting a new Asian record, “even though I did not win a medal” — only to be corrected, “But you got a medal. You finished third!” She hadn’t realised it, and the look of shock and joy upon unexpectedly learning she had won bronze was priceless. Then, a few days later, she nonchalantly shattered a cultural taboo that had persisted for generations in China and many other nations worldwide. After a difficult 4x100m medley relay race in which her team placed fourth, a reporter asked on-camera about the “stomach pain” she was experiencing. Fu explained that she was actually suffering from menstrual cramps. In a country where such matters are seldom discussed, a hugely popular athlete with millions of social media followers instantly banished shame in her spirited embrace of life. Fu embodies the youthful cultural fluidity that can change old habits for good. Tampons are almost unheard of in China due to past reticence and misinformation. But now, brands see an opportunity to educate Chinese women and create a huge new market — including China’s first native tampon brand, Crimson Jade Cool, to be sold online and at sports centres. Consider all the possibilities that open up when cultures drop their inhibitions, reach across old boundaries and empower one another to change. Look at how Fu Yuanhui instantly changed attitudes inside and outside her native country. Be inspired. What new places can you take your brand? 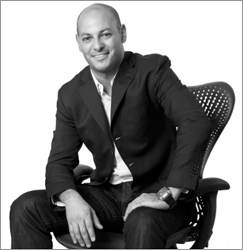 Based out of the Singapore regional Head Quarters and Shanghai offices, Omar Hadoui, Director of Client Growth, APAC, is a core member of SGK’s APAC leadership team. From creating impactful brands to managing their large-scale expansion, Omar has in-depth experience across diverse sectors such as FMCG, health and beauty, life sciences, retails, F&B and consumer electronics. He leads successful brand development and deployment efforts for leading brands such as Mars, Kellogg’s, L’Oréal, Danone, Unilever, Philips, Henkel, Coca- Cola, Pfizer and Kingfisher.